Add sleek elegance to your ensemble with the passionate precision of the Shinola Detroit® Birdy watch. Polished stainless steel case and slender three-link bracelet with PVD gold center link. 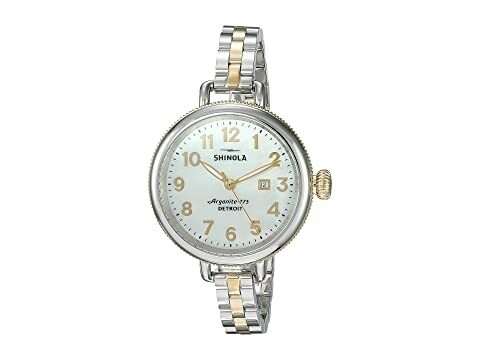 We can't currently find any similar items for the The Birdy 34mm - 20077932 by Shinola Detroit. Sorry!